So, in my ongoing science communication efforts, I have been experimenting with visual formats for summarizing research/complex scientific concepts in simple-to-understand and fun ways. Thus, my #ResearchMonday series on Instagram (which, of course, features #ResearchCat). It was during the last live Twitter Chat with our Science Communication Journal Club that I realized something: participants were sharing amazing sources and articles on the topic, but I absolutely knew I was not going to read them in the nearest future considering other priorities. That’s when I wished there could be some simple memes or visual summaries of key points i’d find useful (and that would truly encourage me to read the rest of the paper). Note: If new to Instagram, hover over the image & note the small arrow buttons on its sides (<) and (>). Click these to swipe through the post! So far, I’ve been choosing papers I have most expertise in- health and nutrition. However, as you can see I’ve attempted to cover some very different topics as well (conscious AI!) The format is most definitely NOT set in stone, and I’d love any feedback on improvements. EXCITED to have my second science communication video out today! This was a collaboration with ASU’s Risk Innovation Lab, as I co-wrote the script with Dr. Maynard. In addition, I used the great video making setup in the lab’s facilities (instead of suffering in my own home with a small unstable whiteboard and terrible lighting). The Process. To produce such videos, you first need a good to-the-point succinct script. This is the toughest part for me personally. Once you have that, you need to create the drawings to go along (I enjoy this part the most, though that’s not the case for everyone). Then you’re ready to film! If you have professional lighting equipment, great camera, and a sturdy whiteboard, you can do it in < 2 hrs, which is how long it took me (my first video took much much longer- in fact I had to re-record sections on the next day). This part is probably the most tedious and frustrating– for one, try writing in a straight line and with good enough handwriting!! Then you have to record the voiceover- so, read the script you wrote. This can take many tries, but it seems like the simplest part to me! Finally, you need to edit the video- so, take your recordings and synchronize them so that the images go with the script perfectly. This is not as horrible as you might imagine (iMovie makes it straightforward), but it does take some time. Overall, this video took me about 7 hours to make. My previous one (HERE) took about 16!! “One standard practice in analyzing data is to look at the P-VLUE (or probability value) to determine if the findings are true or are simply due to chance. For this, a p-value cut off is set at 0.05: this means that the probability of findings being caused by random chance is 5% or less. P-values above this 0.05 threshold, meaning the probability of chance findings is more than 5%, are considered NOT statistically significant. So, which explanation leaves a non-expert with a better understanding (in the video, it starts at 4:13)? Let me know if you have an opinion, because I honestly can’t tell which is more effective. I recently wrote a short article on “food addiction” for the Risk Innovation Lab’s CrisBits blog (collaboratively published by Arizona State and Michigan University!). This piece mainly focuses on the scientific side of the issue- I really wanted to broadly cover research on the topic, since so many popular articles on food addiction focus on singular studies (and end up being extremely misleading). Yet I also really wanted to address the topic from an anthropological perspective. There is a strong cultural appeal in the idea that certain “bad” foods or their components can cause dependence and are thus dangerous (e.g. MSG, casein, gluten). This view of overeating as addiction includes the need to “detox” and instead eat a “clean” diet (e.g. this: The Diary of a Sugar Addict in Detox). These are not just modern health trends, but a manifestation of a need to understand our world by imposing structure and thus meaning on the untidy experience that is reality. Structure is created by categorizing things into clean/unclean, healthy/unhealthy, pure/dirty- and things that don’t clearly fit into such categories are considered unclean and dangerous. Anthropologist Mary Douglas makes this point in her seminal book, Purity and Danger, as she examines food taboos (cultural rules about what not to eat). Douglas points that prohibited foods are considered “polluting” because they defy easy classification into culturally important categories. The current unease with genetically engineered foods is a fantastic modern example: as a technology that blurs the lines between natural and unnatural domains, it is indeed often termed by opponents as “genetic pollution” or “contamination”. …prohibited foods are considered “polluting” because they defy easy classification into culturally important categories. The categories we create to make sense of the world have strong moral overtones, as they allow us to essentially define right and wrong. Indeed, the word “addiction” itself is connected to the moral disapproval of socially undesirable behaviors (e.g. drug abuse). Psychologist Paul Rozin points out how the fear of sugars in American diets, for example, reflects the Puritan belief that things that are very pleasurable must also be bad. Religious Scholar Alan Levinovitz also emphasizes that people frame eating in terms of morality and religion. He discusses how concepts of healthiness reflect the “myth of paradise past”- the idealistic belief that things were better, healthier, and even morally superior before. From such perspective, novel changes to foods represent our fall from grace- whether via agriculture (e.g. as in paleo diet ideology) or industrialization and technology (as with processed and genetically modified foods). So, that’s my little anthropological view of food addiction beliefs as a cultural phenomenon. Hope you enjoyed it! P.S. You might see news reports on studies about food addiction.. but keep in mind that no clinical diagnosis for “food addiction” exists, and most such research uses a self-report questionnaire: the Yale Food Addiction Scale (YFAS). This tool uses DSM-IV’s generic criteria for substance abuse to measure addictive-like eating. Most importantly, it does not validate the existence of “food addiction” as a true disorder (DSM diagnostic criteria is intended for trained clinicians, not a checklist for self-diagnosis via a simple questionnaire). This is a critical issue to consider, as most food addiction research with humans is based on diagnosing food addiction this way. Posts like these.. drive me just slightly crazy these days. I don’t blame anyone for getting affected by them.. but let me tell you a little story about banning “bad” stuff by other more enlightened countries who are apparently less evil and profit-driven than US (insert eyeroll). This summer I interviewed participants in Ukraine as part of my project on food and health perceptions. Several of my respondents happened to be lawyers.. One of the topics under discussion was GMOs (genetically modified organisms). The non-GMO stickers have been put on foods in the country since at least 2013 when I visited last. Anything from foods to chewing gum to water bottles boasted the round green NO GMO sticker. Most people I discussed it with actually acknowledged it was simple marketing and didn’t place much trust in the stickers anyway.. So when this July my interviewees mentioned that “well, you HAVE to have the non-GMO label in Ukraine”, I thought they meant that brands just needs to keep up with the competition in hopes of selling more of their product under the illusion of naturalness and purity (big deal for Ukrainians, who still live with the Chernobyl accident of 86, and still worry about environmental pollution in foods). Well, No- i was told. Ukraine in fact passed an actual law somewhat recently forbidding the import, export, production, or sale of foods with any GMOs. So if you want to place a product on the shelves of Ukrainian stores, they simply have to be certified non-GMO. Oh! OK… what about reality? In actuality, if you’re placing that product on Ukrainian shelves.. you just pay to get the label put on. Ta-da, it’s non-GMO! It is all so political, that discussions of population health are mostly for decoration.. It is all so political, that discussions of population health are mostly for decoration (not like absolutely nobody cares, but that’s not the main reason for any of these policies). And of course this is not just Ukraine- I’m just telling you a short specific story. Either way, poor regulatory practices in the country mean that anyone can buy that non-GMO label: nobody’s testing anything and nobody is checking compliance, guys. Eat Less- Live Long? Not so FAST.. The past week has been a treat in terms of great talks on campus. At ASU we are super-lucky to have the Center for Evolution & Medicine, which holds weekly talks by amazing speakers. When I saw that the upcoming seminar was related to diet and eating..or more specifically NOT eating or “dietary restriction”, I of course RSVPd in a heartbeat. I’ve been in fact fascinated with caloric restriction for years now (I wrote a whole research paper on it in the first year of my master’s degree). You might have heard of intermittent fasting (e.g. popular in the CrossFit world), or the CR Society ( http://www.crsociety.org/ )- all are related to the concept that restricting food intake results in health benefits (from extending life to preventing and reversing disease). I’m sure you can Google caloric restriction and find a bunch of information on its reported benefits..you would see this chart at the CR society website- the lifespan of calorie-restricted (CR) mice vs non-CR mice. You can see that those whose food intake was restricted by more & more % lived longer. Why do many animals (and perhaps humans) appear to be so well-adapted to eating less? The traditional interpretation of this CR phenomenon is that the dietary restriction effect “has evolved as a way to enhance survival & preserve reproduction during periods of naturally occurring food shortage”. In other words- being adapted to do well on restricted food intake during rough times would have helped our ancestors survive them & stay healthy to have kids later when the food situation improves. The traditional interpretation of this CR phenomenon is that the dietary restriction effect “has evolved as a way to enhance survival & preserve reproduction during periods of naturally occurring food shortage”. Experimental evidence with animals, however…supports a different hypothesis- the one Dr. Austad (Professor & Chair of the Department of Biology at the University of Alabama) presented to us last week. Again, I wouldn’t be able to cover everything he discussed during the seminar, but I do want to highlight a couple of main points! I. First, even though the first book on dietary restriction (DR) dates back to the late 16th century, we still do not know the mechanism behind why DR seems to extend life and vigor in animals + delay disease such as cancers. METABOLISM was the original suspect, as metabolic rate goes down with fasting.. however, metabolic rate drops initially yet gradually goes back UP (takes 6-8 weeks to happen).. Since DR changes an unbelievable amount of physiological parameters (see screenshot ->) it is very hard to determine its mechanism. II. Second, while many sources cite mice experiments showing life extension with caloric restriction.. those experiments are done with lab mice. When DR studies are done with wild mice, DR has no effect on longevity. WHAAAT!! I’ve never heard this before- in fact i was under the impression that CR/DR extends life in animals, period. Well, NO STUDY has ever found that DR extends life or improves health in nature (or even “nature-like” conditions). Mice in the wild actually do not have enough fat stores to reduce feeding except very briefly (wild mice has about 4% fat while a regular lab mice has 15%; also lab mice do not reproduce). In fact, mice in nature simply do not live long enough for the survival benefits of DR to be important. Another challenge to the original hypothesis that adaptation to dietary restriction enhances survival, is that DR increases mortality from some infections. Lastly, DR increases cold sensitivity (and cold is a major source of death in wild mice) and slows down wound healing. Sounds like animals in the wild would not benefit from adaptation to dietary restriction… yet why is the positive DR effect observed in so many studies so common? Toxicology studies have shown that mice that are calorically restricted survive a wide range of toxins. DR also acts as an acute (vs. chronic) protectant against other problems (see slide below). Renal ischaemia reperfusion injury (IRI) is a common cause of acute kidney injury and we can see that while ad libitum mice are dying steeply by day 7, those on DR of various proportions survive (30% DR is only 70% of normal food intake; ad libitum stands for eating as much as one wants). This is quite impressive!!! These acute benefits of DR have very important implications. We can think about these effects actually protecting the body against the toxins it itself produces (like free radicals).. it also has clinically relevant advantages- e.g. patients on very strong drug cocktails fasting to avoid harsh side-effects. This suggests that the protective effects of DR could have clinical relevance unrelated to chronic benefits like life extension. The new hypothesis explaining the evolutionary advantage of this paradoxical effect is that dietary restriction arose as a defense against novel exposure to toxins during food shortage. So in conclusion.. we saw evidence suggesting that dietary restriction would NOT enhance survival in nature. Yet research has shown that DR increases health and life in a diversity of species. The new hypothesis explaining the evolutionary advantage of this paradoxical effect is that dietary restriction arose as a defense against novel exposure to toxins during food shortage. My conclusion? I’m still excited about this topic- more than ever before!!! There is a lot of work done now on the timing of food intake as well (not just restricting the amount, but restricting the timing of eating and human health) and I can’t wait to post more about this (after I collect some necessary data though :). Watch out for early May as I’ll be sharing some more info! The SciFiles #2: To Fish or Not to Fish? Is it end of October already?? My ambitious plan to post simple summaries of cool research studies every Friday did no go as planned this Fall. Not only have I traveled internationally to collect data (dissertation, here I come! ), but I also have 5 fantastic undergraduate apprenticeship students “working” in my lab this semester. So- a lot of time has been spent on training, learning how to train, and organizing/cleaning/analyzing the data they help collect for my work. Nevertheless, it’s time for another post. Have you heard that fish is healthy for you? That Omega 3s, the “good” fat, is crucial for health? Or have you heard the opposite and are totally confused? In my interviews with folks in US and eastern Europe, the conversation includes”healthy fats” quite often. Everybody “knows” fish is healthy and we should all be trying to eat more omega 3 fats that are abundant in fish products for a healthy heart. Yet in the last several years, many online sources reported on studies that refute these claims. In this post I’ll briefly summarize a 2014 paper by Grey & Bolland. I believe you can even access it for free by clicking here. Full reference: Grey, A., & Bolland, M. (2014). Clinical trial evidence and use of fish oil supplements. JAMA internal medicine, 174(3), 460-462. What Grey & Bolland did was look for the best scientific work on the topic of omega 3 fats and how it affected sales of these supplements. Grey&Bollard summarized18 randomized clinical trials (between 2005 and 2012) that were published in high impact journals (=highest quality journals respected by the scientific community). Randomized clinical trials (RCTs) are considered the gold standard of research and present the highest level of evidence, so if you’re going to look at scientific support for any idea- clinical trials are the way to go! I have pulled up the 2005 meta analysis- one of 2 studies from the review that showed benefit to supplementation- to get a bit more detail on the results. Studer et al (2005)* analyzed 97 studies to examine the safety & efficacy of various lipid-lowering interventions using mortality data (= they looked at lipid-lowering supplement/drug use and how often people who took them and didn’t take them die. 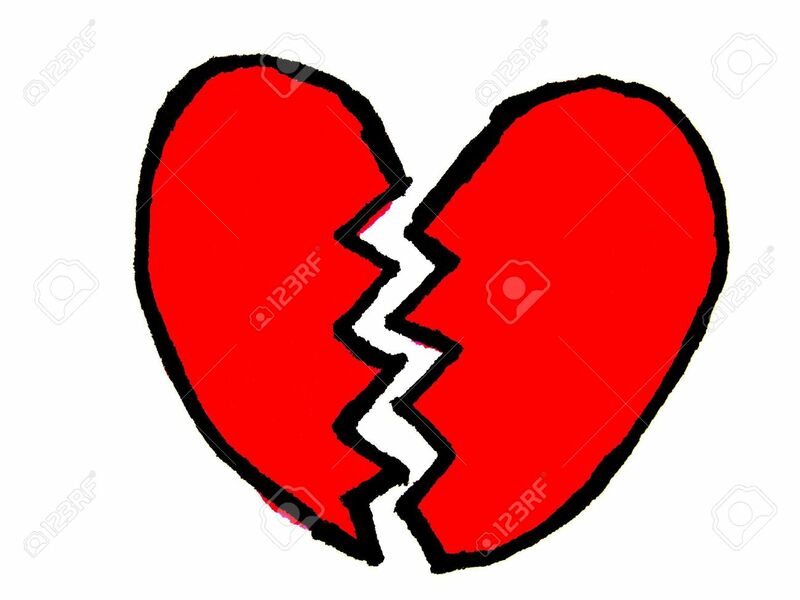 The separated deaths into 1)either from all causes, 2)cardiac events, and 3) noncardiovascular causes). Such large-scale analysis of these randomized controlled trials is a very important tool- it allows to look at the overall benefit of interventions. This meta-analysis found that two supplements/drugs had reduce risk of overall and cardiac mortality (deaths from all causes and deaths from cardiac events specifically): statins and Omega-3 fatty acids. * Full reference:Studer, M., Briel, M., Leimenstoll, B., Glass, T. R., & Bucher, H. C. (2005). Effect of different antilipidemic agents and diets on mortality: a systematic review. Archives of Internal Medicine, 165(7), 725-730. So why do more people continue taking the supplements? Well, first of all, we can assume the public doesn’t read original studies and can be victim to “industry spin”. The “spin” used by industry is a strategy to hype findings and distort the results of clinical studies. Wang et al. (2014) in fact looked this: they analyzed 47 supplements industry press releases & 91 non-industry press releases in response to 46 clinical studies of supplements (published between 2005 & 2013). Result? 100% industry press releases contained “spin” while only 55% of non-industry media pieces did. Industry press releases also reported less on study details – outcome, sample size, effect size- specifically for studies that found no benefit of supplements. Full citation: Wang, M. T., Gamble, G., Bolland, M. J., & Grey, A. (2014). Press Releases Issued by Supplements Industry Organisations and Non-Industry Organisations in Response to Publication of Clinical Research Findings: A Case-Control Study. So why else? Well, omega 3 supplements aren’t terribly expensive and people don’t associate them with any RISK, so it makes sense that folks would rather be “on the safe side” and take them. Also, the belief that these fats are “good” can be rather long-term and hard to change- I remember my childhood friends in Ukraine suffering through spoonfuls of fish oil given by their parents. So having a strong long-term belief that fish oils/omega 3s are beneficial can create confirmation bias: looking for evidence that you already agree with and dismissing new research that doesn’t fit your view. To supplement or not to supplement, then? One fascinating topic is why we humans are susceptible to disease. If natural selection*** shapes successful traits, then why do we catch and develop so many diseases?? I feel it is a common misconception that evolution wants us to live longer healthier lives (e.g. when people say that we’ve evolved to eat a certain way that allows us to live long and be disease-free).. and it is disturbing and heartbreaking for some to find out that evolution pretty much doesn’t care about your happiness, health, or longevity. 😦 Natural selection does not shape organisms to increase all those things, it shapes them to improve our fitness (Fitness NOT meaning long healthy lives [and with a six pack, preferably], but having more healthy children). So a trait that actually harms health will still get inherited if it increases reproduction! 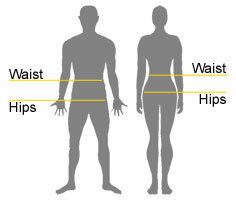 One example I have heard of is having attractive female proportions (waist to hip ratio and all): it increases the chances that you will have more children by making a female desirable by men, but it is associated with higher risk of some diseases in old age.Another interesting example is higher mortality of males in adulthood- natural selection can favor such traits as risk taking, (which is important in attracting females as males compete for female attention), though it can decrease the lifespan of people whose personalities allow for increased risk taking. I’ve seen that some paleo diet followers discuss evolution as a benevolent force that has figured out a way for humans to live long and prosper, and while that’s not true on the level of the individual (it technically “cares” that the species prospers by spreading), it doesn’t mean that you can’t use evolutionary theory to personally get healthier. 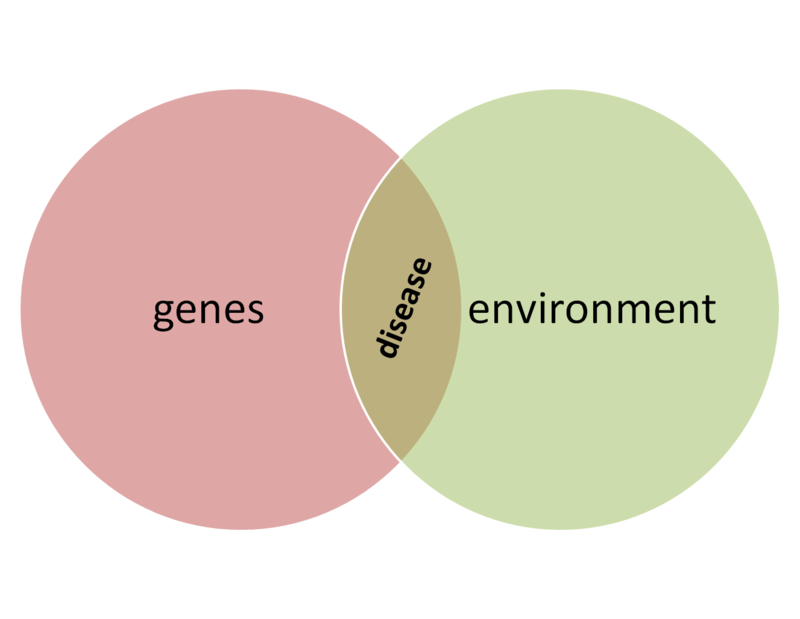 Our genes don’t match the environment! Humans have created quite amazing conditions for ourselves- sanitation, roads, safe desktop jobs, public transit, etc. Things that make life comfortable and pleasant. And technologically advanced societies see higher rates of various disorders- autoimmune disease, obesity, drug abuse and so on. Many versions of certain genes are only problematic in modern environments. Proponents of all sorts of paleo-related diets, for example, claim our evolved preference for sugar and salt is dangerous in the world where processed foods are cheap and omnipresent (though adaptive in the wild as sugary ripe fruit are nutrient & calorie-rich). Another example is nearsightedness– it’s a problem in societies where kids begin reading early and is not a problem in populations that hunt & gather. Pathogens simply evolve faster than their hosts (ourselves) so we will never have an immune system that is not vulnerable to some disease. There are also tradeoffs: a certain trait can have great benefit in one way, yet it may have negative effect in other respects (again- being a seductive mess on a motorcycle might make females go crazy over you & want to reproduce, but it also makes one susceptible to dying from unsafe choices). Evolution: change in genetic makeup of a population over generations; it requires genetic variation. The variation in genes arises from mutations and recombination. Fitness does not mean personal health & longevity. Fitness means how good you are at leaving a successful offspring. Inclusive Fitness: unlike previously thought, evolution doesn’t work on the level of groups/species but on the level of individuals (so traits that aren’t “good” for the whole species but are good for this individual having more kids are going to be selected for). E.g. genes that make one aggressive to others will still pass on if it leads to this individual reproducing successfully. HOWEVER, nice helpful personality traits are successful & are passed on (humans are incredibly altruistic vs. other animals) as it makes one do nice things for close relatives. Since you share genetic material (50% with each parent and siblings, 25% with cousins), the individual’s reproductive success actually includes not only how many healthy kids you produce, but how many your closest relatives do also! There are no traits/genes that are awesome universally. The benefit of a certain trait is always in the context of the environment. E.g. sodium retention is prevalent in people that evolved around the equator since it gave them a selective advantage (salt is necessary to your body but is lost via sweat and urine.. you’d sweat way more in the hot climates). [***Natural selection: imagine a group of people/dolphins/bugs. If this group’s members differ in some way that influences the likelihood that they’ll be part of the group in the future, this group will end up changing with time. So if some members have a genetic variation that influences how many kids they’ll have, in time this group will change and have more of the genetic trait that resulted in more kids! Back from #AmAnth2018, some updates! Become a Nerd of Trust: Our First Twitter Chat!